Glassboro NJ Real Estate Info is about Glassboro and its community, including Rowan University and Rt 322 thru town. Glassboro has grown significantly through the years because of the growth of Rowan University and its close proximity to Interstate 55. 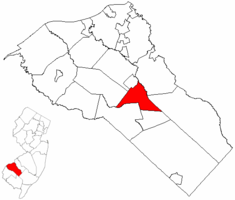 Rt 322, a major roadway through southern NJ, also goes through Glassboro. There are real estate opportunities for everyone in Glassboro - Active Adult, Over 55+ Communities, great neighborhoods to live in and excellent investment opportunities for Rentals for college students.